Summary information provided by the V&A (Accessed: 7 April 2010). This is the oldest photograph in the Museum's collection. It is a daguerreotype, a unique image formed on a silvered copper plate. The daguerreotype was the first photographic process, publicised in January 1839. It was named after its inventor, Louis Daguerre. 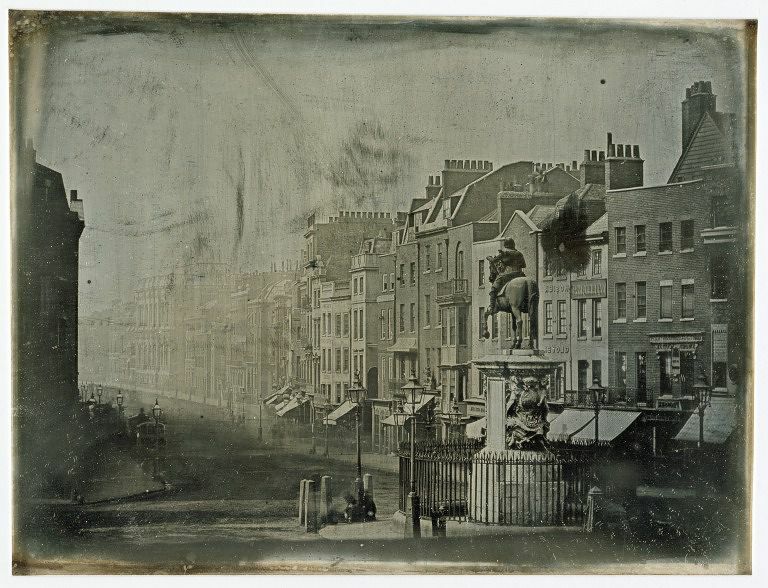 Just a few weeks later the first public demonstration of the daguerreotype in London was organised by a Monsieur de St Croix. 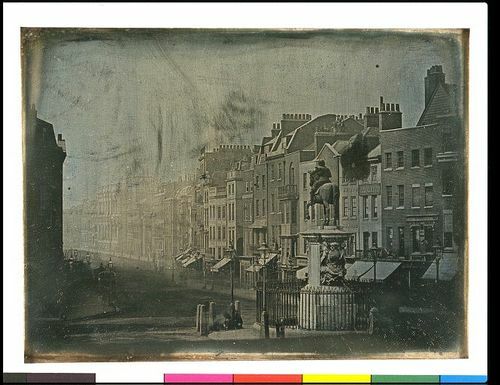 This is therefore among the very first photographs taken in London. The scene is reversed - as is characteristic of the process - and the image on the shiny surface is difficult to read. However, once caught at the correct angle, amazing detail emerges. In the foreground there is a statue of Charles I and in the distance the royal Banqueting House. There are also traces of the people who stayed still long enough to register on the exposure, which probably lasted some minutes.